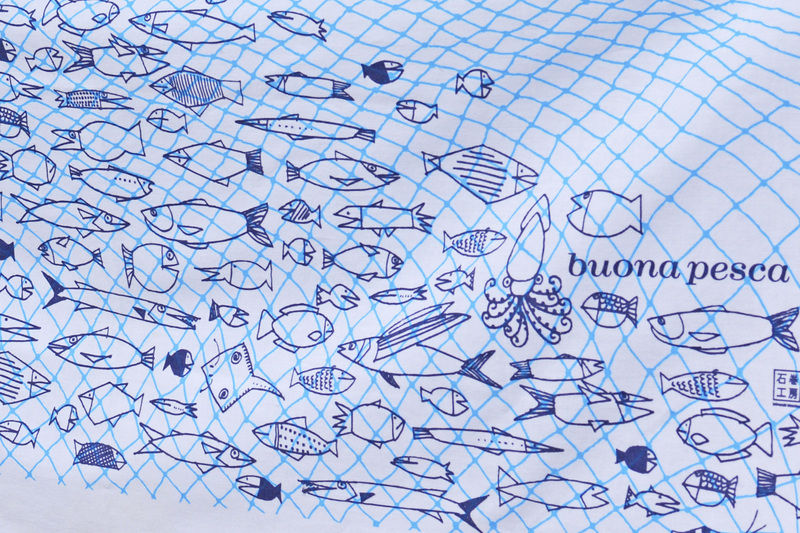 These hand towels are printed with the same buona pesca design as our tote bags, which was first created as a small way to create employment in the Tohoku region after the disaster. Made from 100% cotton, these traditional hand towels can not only be used in the same way as a regular towel, but also as a headband, souvenir, decoration or for wrapping items such as bottles. 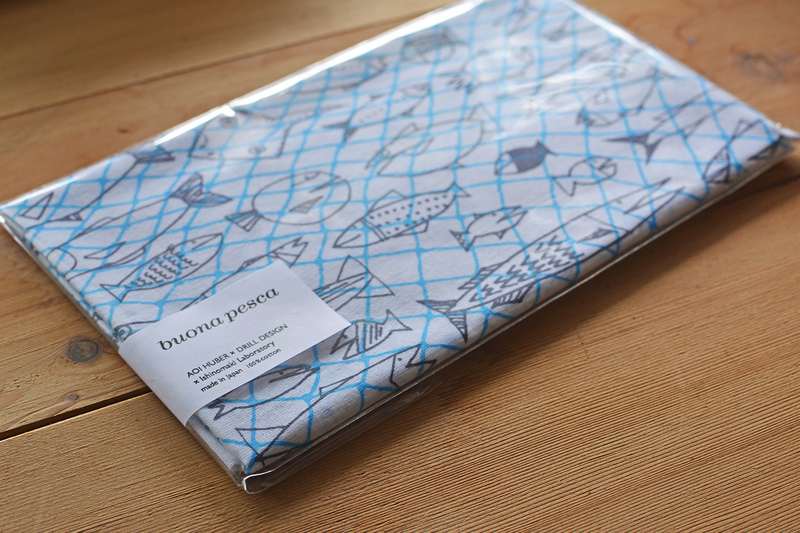 and designed by Drill Design.